Be on the lookout for diverse emoji characters in a future OS X and iOS update: Apple released a beta version of OS X 10.10.3 on Monday that shows a selection of new emoji. Most notably, each emoji representing a person (or various hand gestures) will come with an array of skin tones to choose from. 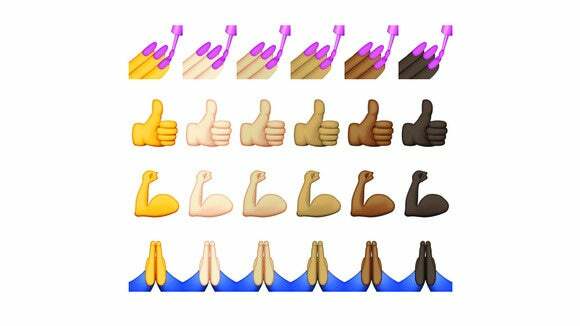 These new racially diverse emoji are found in the latest iOS beta release as well, iOS 8.3 beta 2. The default skin tone for these emoji is bright yellow (think The Simpsons), which we should assume is supposed to represent neutrality (and not jaundice). To change it, tap and hold the emoji icon to reveal the whole selection for that emoji. Each one has six different skin/hair color options to choose from. Why this matters: While Apple’s emoji expansion pack doesn’t cover every skin type—there are certainly way more than six skin and hair color combinations in the human gene collection—more representation is always a good thing. 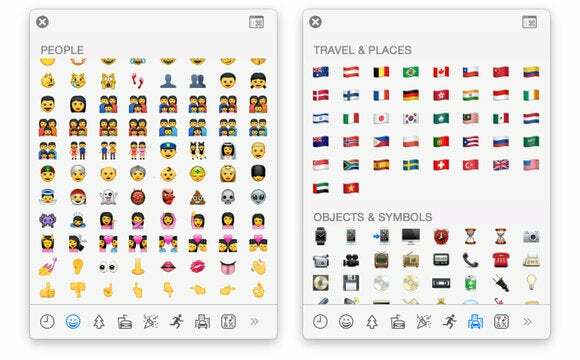 And we’ve been expecting this for a long time: Apple’s former PR chief Katie Cotton responded to emoji criticism in March 2014, saying that the lack of diversity was due to an issue with the Unicode standard and that Apple was working with the Unicode Consortium on an update. No word on when these emoji will publicly launch, but OS X 10.10.3 beta and iOS 8.3 beta 2 are available now.